Feautured on this page is our 168 bottle capacity wine cellars, designed to serve all your wines at optimum temperatures. 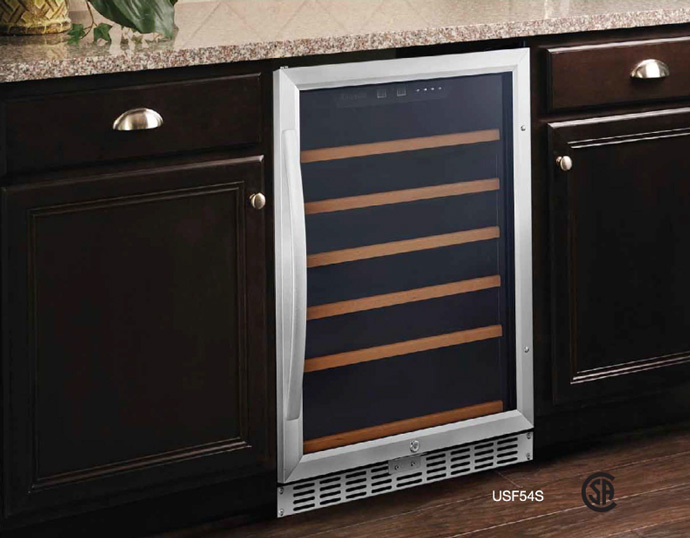 Standard dual temperature controls allow you to chill white wines as well as storing your red wines in the same cabinet. Digital controls and readings permit you to ensure that the temperature is maintained to individual standards. Also available in Undercounter model with 57 bottle capacity.